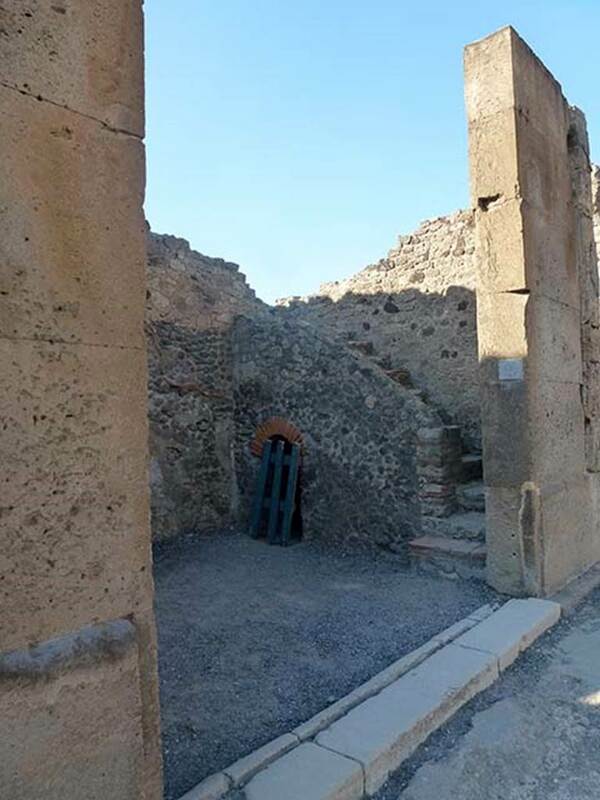 VI.12.4 Pompeii. Shop. Excavated c.1829-32. (Strada della Fortuna 53). 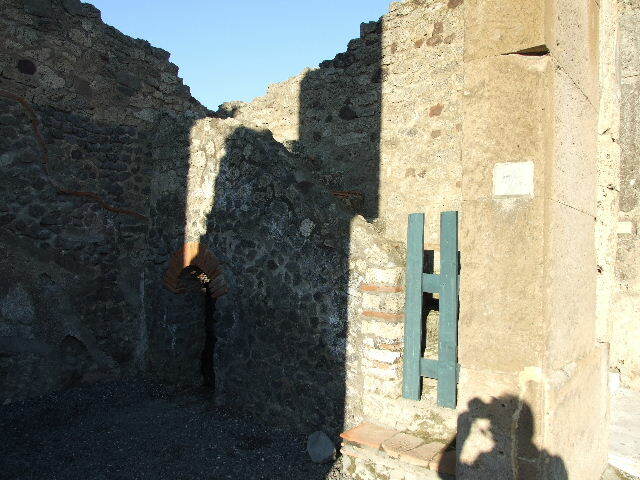 VI.12.4 Pompeii. June 2012. 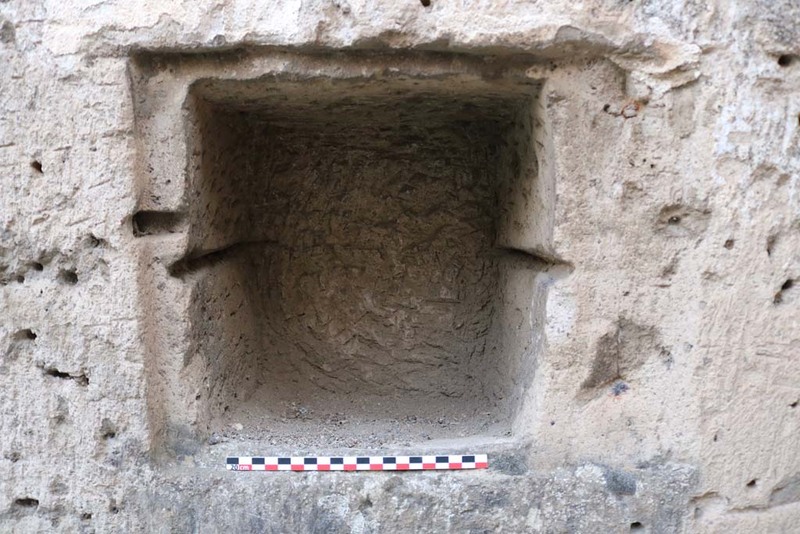 Entrance doorway, looking east along threshold or sill onto Via della Fortuna. 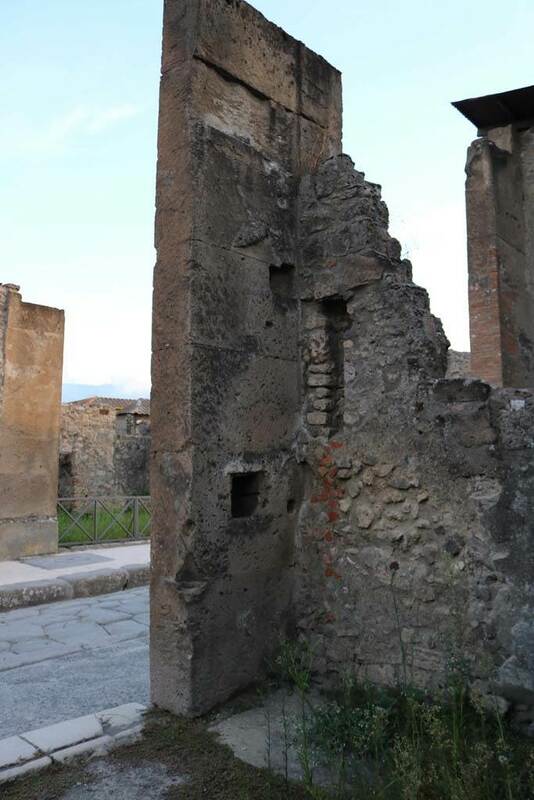 VI.12.4 Pompeii. June 2012. Looking east along pavement on north side of Via della Fortuna, looking east. VI.12.4 Pompeii. May 2005. Entrance doorway, looking north from Via della Fortuna. 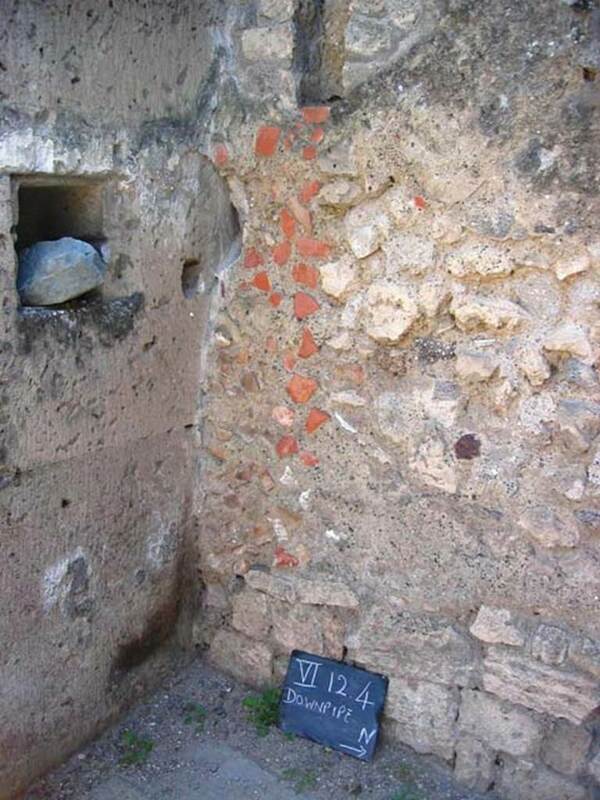 VI.12.4 Pompeii. December 2006. 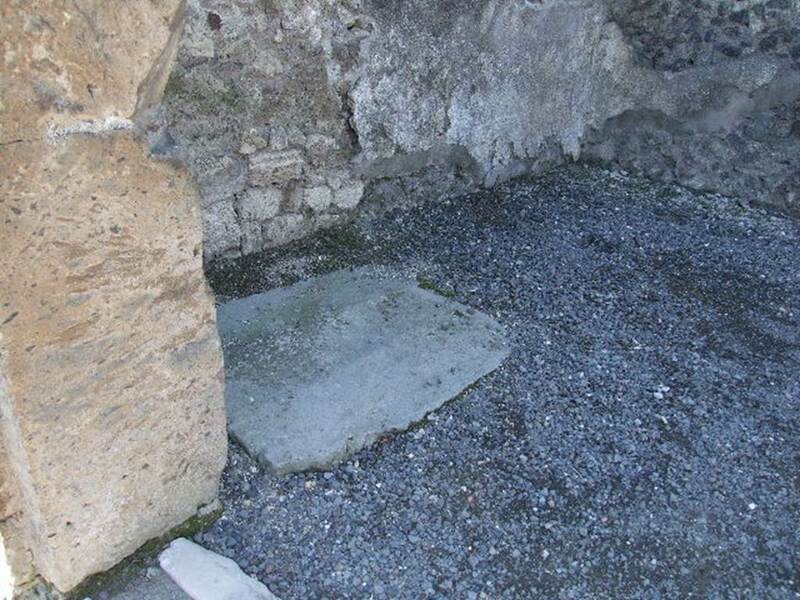 Entrance doorway, with the possible site of graffito below, on right between VI.12.4 and 5. See Pagano, M. and Prisciandaro, R., 2006. Studio sulle provenienze degli oggetti rinvenuti negli scavi borbonici del regno di Napoli. Naples: Nicola Longobardi, (p.145) PAH III, 116. 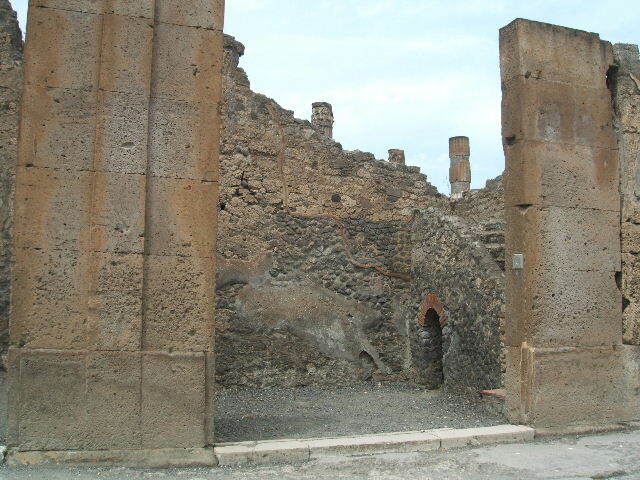 VI.12.4 Pompeii. December 2006. West wall of shop. 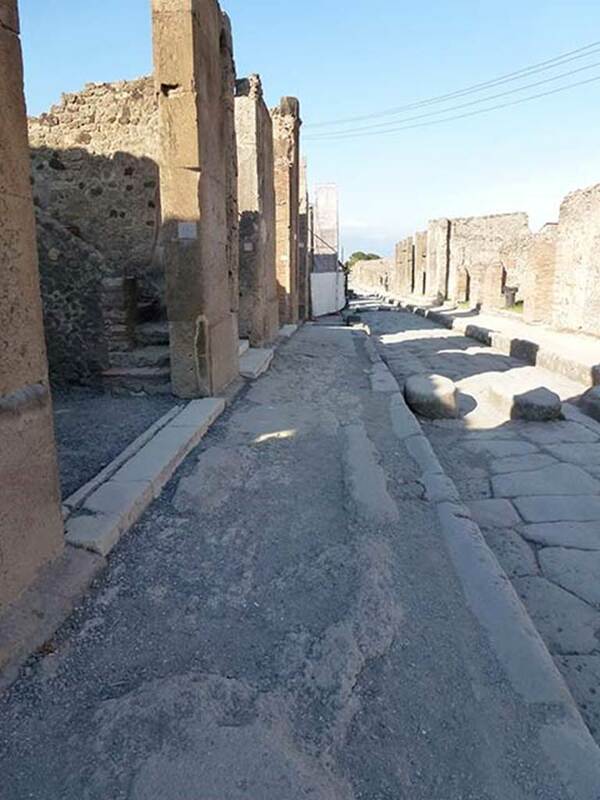 VI.12.4 Pompeii. December 2006. Floor on left of entrance. VI.12.4 Pompeii. December 2006. South-west corner of shop. VI.12.4 Pompeii. July 2008. South-west corner with downpipe. Photo courtesy of Barry Hobson. 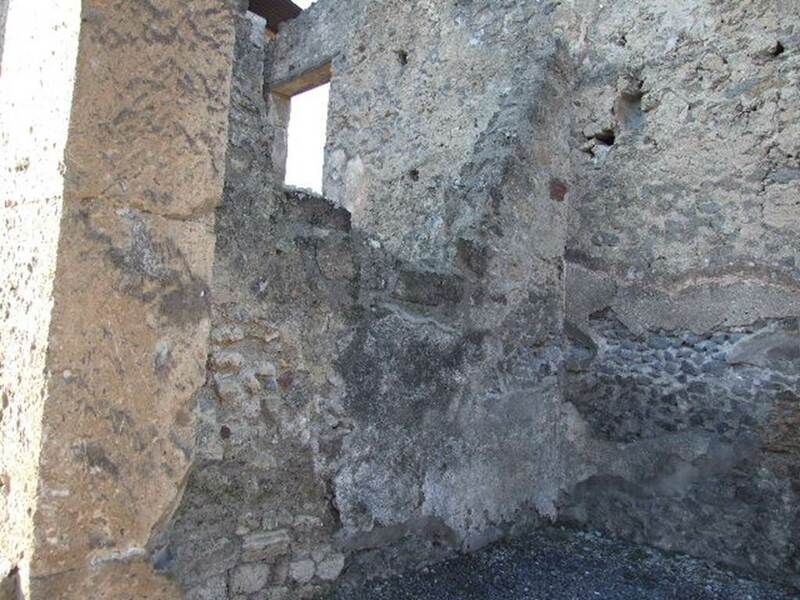 VI.12.4 Pompeii. December 2006. South-west corner of shop, on left side of doorway. 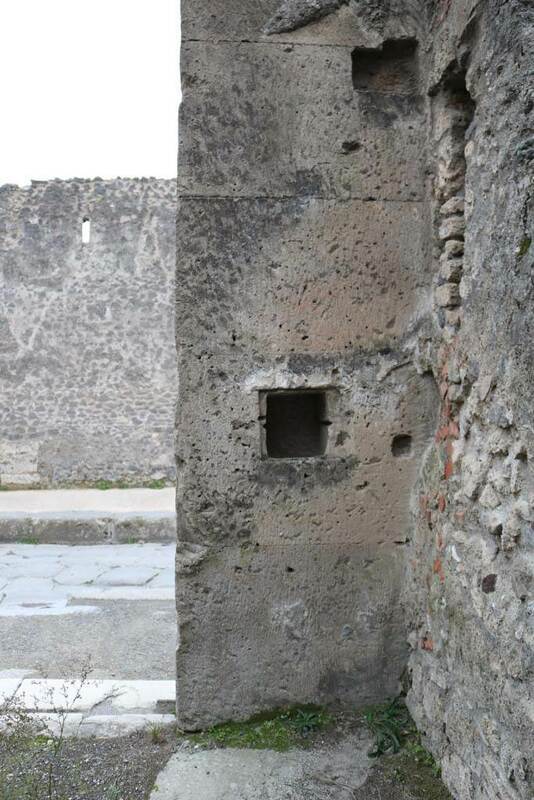 According to Boyce, in the south wall to the left of the entrance, is a rectangular niche. 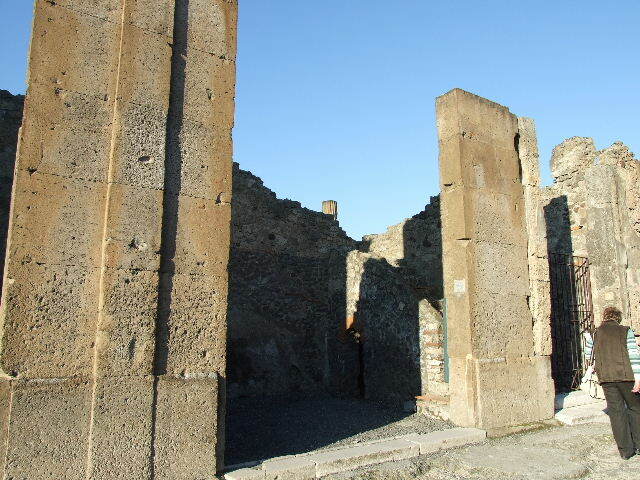 VI.12.4 Pompeii. December 2006. North wall of shop. 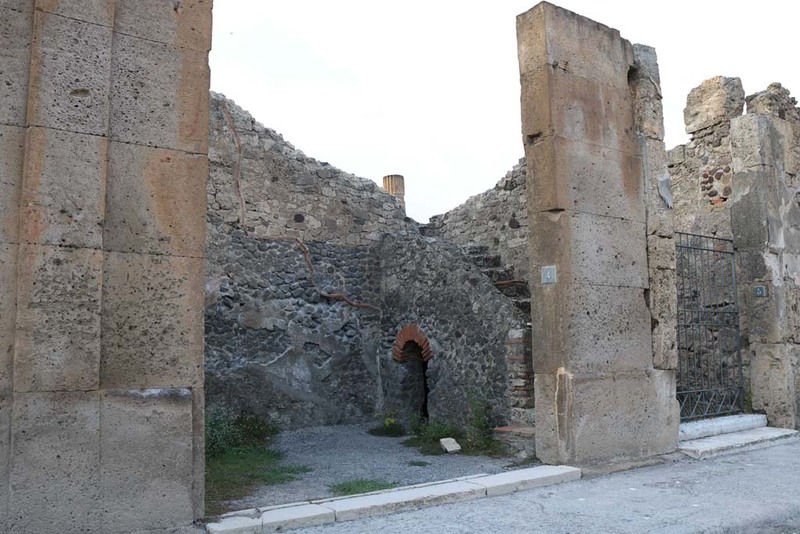 VI.12.4 Pompeii. December 2006. 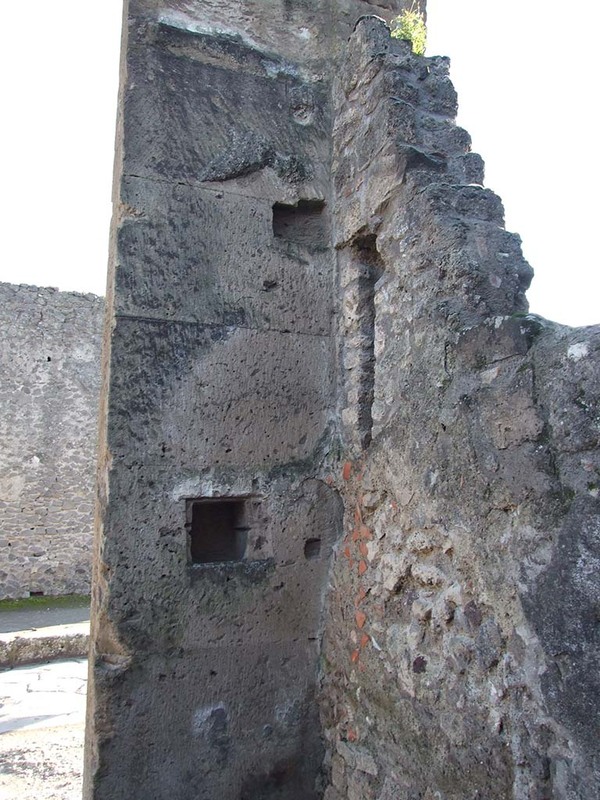 Base of stairs in east wall. 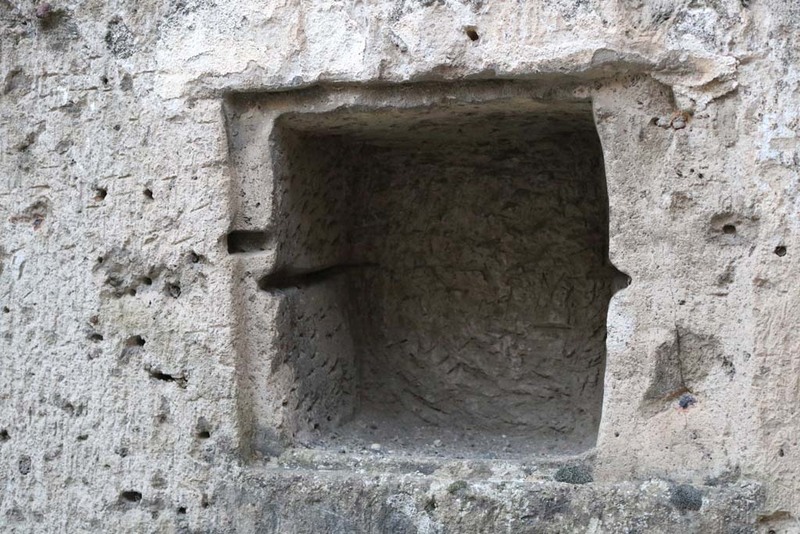 VI.12.4 Pompeii. December 2006. Steps to upper floor. VI.12.4 Pompeii. December 2006. Arched recess under stairs in east wall. 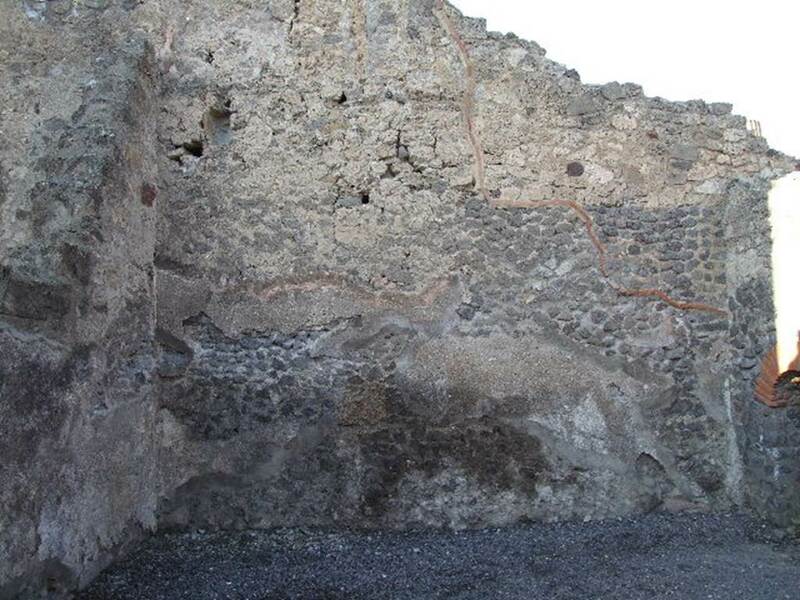 VI.12.4 Pompeii. December 2006. South-east corner of shop.